President Obama delivered these words in his Cairo speech, five years ago today, when he reached out to rehabilitate Islam and Islamic civilization in the eyes of the world — and redeem America in the eyes of the global Muslim community after the Iraq and Afghanistan wars. The Cairo speech was part of the road map based on the advice of the 2008 report “Changing Course: A New Direction for U.S. Relations With the Muslim World,” drafted by the leadership group on United States-Muslim engagement, composed of former senior government officials, both Democrat and Republican, as well as scholars (myself included), political analysts and international relations experts. 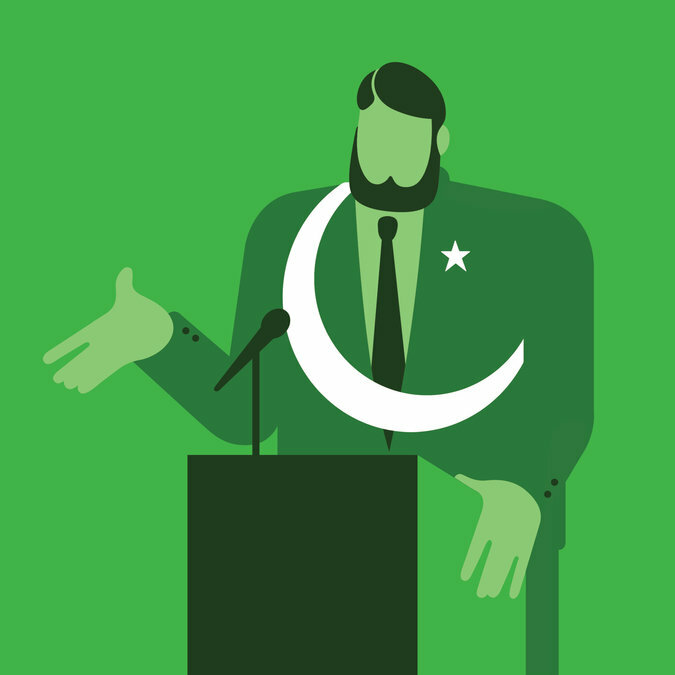 All of us were concerned about the divide between America and the Muslim world, and we recommended that the new president deliver a major speech in a significant Islamic capital — Cairo, Istanbul, Jakarta or Rabat — directly addressing the Muslim world. That’s what Mr. Obama did at Cairo University on June 4, 2009. Since then, Egypt has experienced the “Arab Spring,” followed first by the Muslim Brotherhood’s election to power, and then its downfall. If Mr. Obama’s message of 2009 had been conveyed again more forcefully to Egypt’s former president, Mohamed Morsi, before he was ousted by the army last July, the hopes of Arabs and Muslims around the world after the Cairo speech might not have been as disappointed as they are today. Sadly, every one of the “ingredients” for democracy listed by Mr. Obama was flouted by Mr. Morsi during his tumultuous year in office. He forced the passage of the Muslim Brotherhood’s 2012 constitution, issued edicts imposing himself over the judiciary, failed to provide protections to Coptic Christians, started vendettas against journalists and activists and treated the secular opposition as enemies to be excluded from political life. In short, the Egyptian president furthered the political aims of the Muslim Brotherhood at the expense of the nation, exactly as Mr. Obama had cautioned against. We were there, my sister ‘Prof. in Cairo University’ and me listening to this fluent President and to some audience arround whispering: American chose a real President this time, Bush was a disgrace. His speech was promising as he looked trying to heal the profound wounds left after Iraq war. I will focus only at what concerns you, I mean the uncomfortable position of US administration though US is not a main partener in this internal mess. The other view is that Obama didn’t expect in his worst dreams that this old consistent group he had to deal with after Mubarak is so stupid and power thirsty to ruin everything in one year by making enemy of all institutions and religions and leagues and genders of Egypt. I buy the second view because I know that Egypt is important in the context of US foreign policies and I believe that Obama was in a styme when the new ally fell in a crushing failure and he became possitive that they’r violent and they will never be accepted by Egyptians again. Although US has a vital relationship with Egypt’s army, Obama didn’t like that the only available power is from military. He should study the new situation reasonablly and not to adress early comments about coup and elected Morsi. Democracy is a fake priority under terror threat. People have the reason to wonder why he doesn’t mention even a hint about Brother’s terror operations and only he mentions terror generally like it’s committed by ghosts. That is an excellent comment, Fada. I am so happy and proud that your wonderful and thoughtful comment should be the first on this new site. I completely agree with your assessment. Here is how I understand leaders like el-Sisi and Obama. I have often been proven right by historical events. Every leader who is wise must consider the views of the people and must often say things that reflect more what certain audiences need or want to hear than what they truly know or believe to be true. Whatever degree of support Obama gave Morsi, it does not equal the degree of public support that Obama has given el-Sisi. Even if President Obama is happy that the Islamist regime is gone, even if he secretly supports el-Sisi, he cannot say so. And neither leader benefits their position by an appearance of cooperation. But one important point is to be made about that support: the Obama administration has violated U.S. law by continuing to provide funds to Egypt after the coup. Even Obama’s political enemies who criticized his refusal to call el-Sisi’s actions a “coup” publicly, privately understand why he did so, and that the importance of Egyptian-U.S. relations is not just to us but to the balance of power in the world. The danger, of course, and I believe it is this that concerns American liberals most, is that fabricated terror threats will be used to justify criminal behavior such as the invasion of Iraq was by the Bush administration. Thank you konigludwig, it’s my pleasure to participate in your new site. This’s how I understand the situation in America. It is a continent with a wide diversity of people’s inclinations and backgroundings and institutions and political groups and corporations. The president is not really the maker of decision. The president is the man who gets the blame although US’s main policies and foreign strategies are like sort of settled dogma that didn’t change since the end of WW2. It depends at US’s higher interests not at democracy or human rights. The presidents from both parties can’t change these policies. The close relations with the tyrants of gulf states is a good example. Those tyrants inherit the throne without elections and in Qatar particularily every son makes a coup to oust his father but no one condemns him. I suppose Obama was more comfortable in dealing with Brotherhood because there was no objection in the Arab world or in US, they were the perfect political Islam at least in the begining. It’s a tough situation for an important power like America, siding with the terrorist Morsi and democracy, or with the popular Sissi and coup. US president will be blamed in all cases and better be blamed by ideal dreamers than by the terrorized and oppressed victims of Brotherhood. The dreamers will consider the blood stained Egypt’s streets by time and will not call it fake terror threat. Also if they tried to read about democracy of Morsi their dreams will be a nightmare. What concerns me is that Sissi is completely different from his media image, he is smart enough to understand that the people are his treasure and support and that they need more than ending a terrorist reign. He began from the first day to focus at Egypt’s economic and educational and social problems. Fada — how great to read your opinions again in a well-thought-out discussion such as you have had here with kl. I’ve been out of the loop for a good long while. Your comment which stood out was “Democracy is a fake priority under terror threat” which is such a potent statement and not easily understood by those unfamiliar with the dynamics of violence. I look forward to future comments. I postponed my activity for democracy and human rights the day my young lovely handsome nephew shot in Sinai by ignorant brutes from a group loyal to Morsi just because he is a police officer. I would like to second your sentiment, Fada. It is nice to hear from storyartist again. I agree with and understand your perspective, Fada. Morsi did not offer Egyptians true democracy nor security. The corruption of power was immediate, like someone who tasted strong wine for the first time, the Muslim Brotherhood lost all control and sense of judgement. I will not cry for the overthrow of a government that justified the public rapes of its own citizens. I have principles too. Such a government does not deserve to be preserved by its people. Egypt’s human rights record has never been good. el-Sisi has an opportunity to become a great leader, and if he is to be a great leader he must change that, and he must start now. If he believes that world opinion does not matter, then he is as big a fool as Morsi. I need to correct a misunderstood point Paul. I read the annual record about Egypt and I believe it because I don’t have any idea about the cases they examine. I know that we have violations of course, what else? Yes, Fada, even those who have some understanding of the term “cycle of violence” lose the connection to its significance when reading news from the Middle East. What we learn from you is that, yes, the events are human stories, and they take place in a political system in the throes of the cycle of violence. This is a challenge Egyptian people are fighting to change since Arab Spring. And each one of the human stories in the midst of experiencing the cycle of violence is mostly misunderstood by a more privileged society oblivious to those dynamics. Who has been more brave and courageous than you, Fada, relentless to expose and remove the cancers from your social system? And now I learn of the tragedy of your nephew and I have such sorrow for this loss. A loss as a result of political violence is a much different animal than a loss from other causes. All causes are senseless, but when they are a result of deliberate human origin, the personal story — and collective personal stories which make up the population — have totally different effects on the psyche of citizens and are usually misrepresented in the media and misunderstood by outsiders, as they are by outsiders of the cycle of violence. Hi, storyartist. We are very happy to welcome you here. Send me an email address where I can send the WordPress invitation. Looking forward to your contributions. I know that you bring a level of seriousness and passion about issues that makes for a great site. I have been telling everyone how much I admired the great job you did at FBA. I have to admit storyartist that we ‘though living with terror as daily common news’ but we are much luckier than most of countries in the middle east, look at Iraq, Syria,Libyea, Yemen and Gaza to know what I mean. They waste other millions inside on foul mouthing and obscene writing against all opponents. They slander and call Judges and army names in their TV. I can not imagine what you and others are going through. We are not dealing with bombs in subways but our gun violence is out of control in the US. I follow your comments and I hear statements that are similar to what is happening here in the US. If people call these groups out on their racist comments, do they claim that it is not true and that it is others that are the racist? They always say they are expressing their legitimate views but they do not have facts. I could write a text book on the rhetoric they all follow. Word for word. I do not know how any society fights blind hatred. I know that poverty does not help. You would not believe what I have heard our President called. I have an idea Genvana about all this happening in US. I follow your news the same I follow ours and directly on your TV nets. But I don’t understand how can we ‘the less abide to laws than you’ arrest a popular Sheikh for hate crime and the extermists in US with all its pile of strict laws can derogate minorities especially muslems and gays and no one fine them a dollar? I understand, Fada. Really I do. The United States doesn’t have such a great human rights record either. It is hard to think of a nation or people who do not have shameful human rights abuses in their histories. Good comment, as always, Fada. I find little to disagree with in your opinion. I have often made these same arguments. It is easy to stand on principle when viewing the world from a comfortable position. Not everything that America does is from self interest. But no patriot would ever completely ignore the interests of their country either. el-Sisi has an important opportunity. We all hope that he uses it wisely. If he isolates himself and Egypt from the world, then nothing will change. They had all the chances and time and voter’s support before they begin to act like Maliki and their members control everything like the other Egyptians are not there. I agree completely. I was just trying to explain Obama’s new attitude, that is, the new American government attitude toward the Middle East. We understand how the Bush philosophy caused America to be viewed in The East. (Americans still don’t comprehend how their unconditional support of Israel harms our reputation.) We understand history. Well, at least, some like Obama do. We realized that it was time to let those countries so long under our influence to determine their own futures. This is an easy philosophy to state but difficult to practice. The Obama administration criticized Morsi too little and el-Sisi too much. The first was from naivete, the second from political pressure. Republicans wanted to stop all U.S. aid to Egypt, or at least they pretended to want to as a means of criticizing Obama’s continued support for Egypt after Morsi’s overthrow. Morsi, Maliki, Erdogan are all the same. Obama was not naieve in his trial to rescue the costy project of outreaching the supposedly moderate Islamists. The relation with Mubarak’s regime after 2005 was so bad for this reason.